CARROLL TOWNSHIP - Ottawa County officials have met with both Ohio gubernatorial candidates in recent days about the future of the Davis-Besse Nuclear Power Station, as the county pushes to keep a spotlight on the plant's future ahead of November's elections. Ottawa County Commissioner Mark Stahl said several county leaders, including fellow commissioners Jim Sass and Mark Coppeler, met with Democratic candidate Rich Cordray and officials from FirstEnergy Solutions, owner and operator of the nuclear plants, at the Davis-Besse plant on Wednesday for a roundtable discussion and tour. Republican candidate Mike DeWine also visited Davis-Besse last week, Stahl said. He said county leaders want to make sure state and federal elected officials don't forget about nuclear energy and the fates of the Davis-Besse and Perry nuclear plants as the general election draws closer. 'It's hard to say if that will be a campaign issue they talk about," Stahl said. "I hope it is." Stahl said other county officials who met with Cordray included Sheriff Steve Levorchick, Jamie Beier Grant, executive director of the Ottawa County Improvement Corporation, and county EMA executive director Fred Petersen. He said the Ottawa County contingent let Cordray know about issues related to nuclear energy, Energy Secretary Rick Perry's efforts to provide federal assistance to struggling nuclear plants, and natural gas prices on the short-term market. Ottawa County Commissioner Mark Stahl said the county wants to make sure that state and federal elected officials don't forget about the future of the Davis-Besse Nuclear Power Station. Ottawa County officials are seeking at least a two-year window to look at the Davis-Besse plant and see how to manage the long-term economic impact of a plant closure, Stahl said. In a statement released via email by his campaign Tuesday, Cordray said he supports an all-of-the-above energy strategy — including nuclear power — that will keep energy costs down for businesses and middle-class families in Ohio. "I've also met with officials at Davis-Besse, as well as local leaders, to learn more about the issue and discuss steps the state may take to address the potential closure of the plant. Regardless of the outcome, my priority as governor will be to ensure that workers and communities in Ottawa County are not hurt economically by changes at Davis-Besse," Cordray said. Efforts to reach DeWine for comment Tuesday were unsuccessful. FES also reported that it must either purchase the fuel required for Davis-Besse’s next refueling or proceed with the scheduled plant shutdown by mid-2019. 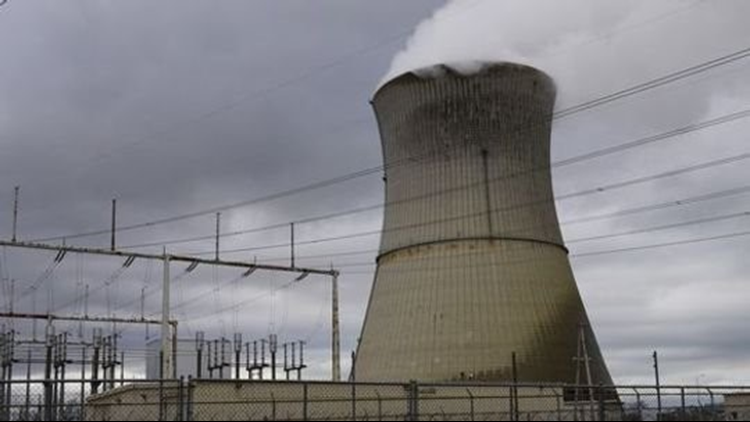 May 2020 is the scheduled date for deactivation of the Ottawa County nuclear plant. Perry is scheduled for deactivation in 2021. Stahl said he had not heard anything recently from FES officials about refueling or any possible sales of the plant to another energy company. He said he was hopeful there would be some positive news about the plant by the end of the summer.